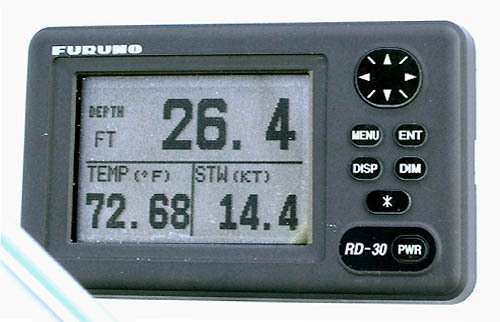 Like most recent PDQ 34's, our boat came equipped with the Raymarine package which included a DSM 300 depth sounder. We seldom use the full fish-finder screen, instead we've set our E-80 displays to show the depth read-out in small windows along the edge of the screens. This works OK as long as the depth sounder is producing a good reading, but we've had a lot of trouble getting our unit to work properly - particualrly in shallow water.